This set of drawers has been at the bottom of the stairs since before I moved in with Ant. It’s full of his tools, screws, ‘things that will come in handy one day!’ etc. Things also get dumped on top of it and left there for years (it may sound like an exaggeration but that printer has been there 2 years at least and last week there was another printer next to it and a box of computer software books on top of the big printer!) and now I’ve had enough of having to look at it every time I walk downstairs. I’m not sure how old it is but it’s seen better days! The wood veneer was chipped off on some of the drawers and it just looked old and tired. I sanded it all and removed the veneer from one of the drawers due to more veneer coming off while I was sanding it. I filled the other chips with wood filler then painted on the primer….with a little help from Ella! She really enjoyed helping, as she always does! 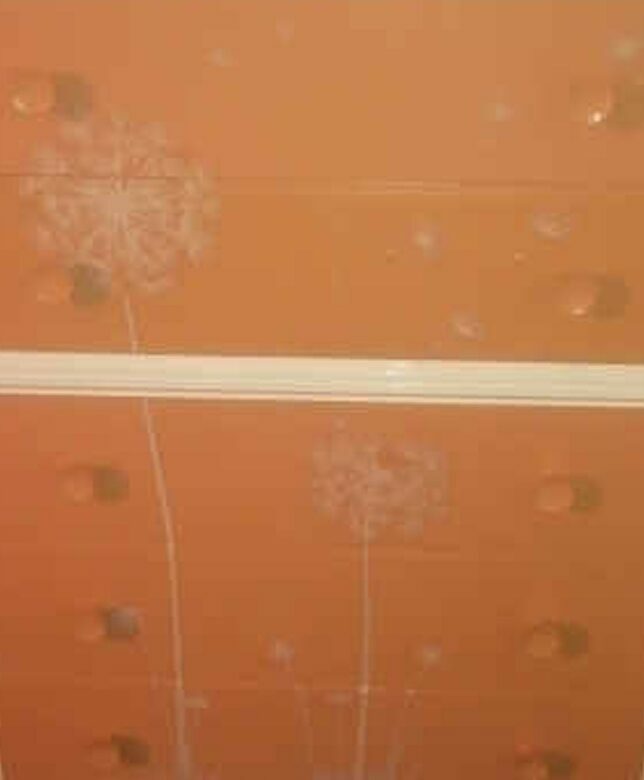 I bought the dandelion stickers from eBay for about £5 and the paint from my local B&M store. The white paint cost £4.99 for 1.25 litres and I used less than a quarter of a tin and the brown paint was by Crown and was on sale for 49p!! I was very happy with my bargain tin of paint! I wasn’t sure about the brown when I first did it and was getting ready to repaint the drawers white but I’d already ordered the stickers and Ant suggested I waited until the stickers were on to see if I liked it then. I loved it! The stickers made all the difference.